Launching a start-up is exhilarating and getting your email marketing campaign right can be a challenge. There are multiple constraints that you have to address when you are just starting out. These could be financial, manpower, time, etc. You have to ensure that every effort you invest in is well-calculated and reaps fruitful results. And what makes this even more challenging is that the traditional marketing strategies don’t always work. Of all the marketing tools, platforms, and mediums available, email remains one of the most effective of them all. It is a powerful tool to connect your business with your target consumer. But before you get started, it is important to lay the foundation right. Who is your email audience? Before deciding what to say, you need to figure out who you are talking to. Having a segmented email list will make your message a lot more relevant to the audience receiving it. Secondly, consider how you got the customer’s email address. Did they hand it to you agreeing to receive promotional or product/service related messages from you? Or did you get these email addresses at a trade event? In any case, it’s an indication that your audience is more interested in general information about your business or industry news. Conducting a thorough research and study of your list will help you craft your message better. A personalized and more relevant email will, in turn, increase your ROIs. A great product alone will most likely not succeed without the right marketing. However, no amount of business marketing will make a crap product gain a mass audience. The right balance of both is the sweet spot where the magic happens. Marketing a Tech Start-up can be challenging and a costly affair. Here are some effective email marketing strategies that can get you the traction that you need. Read on! While composing your emails, think about the reader. As simple as it sounds, many marketers miss this. Set your sights on adding value to your customer instead of making a sale. If your emails come across as too promotional or sales-driven, it will turn off the reader. Look at Scott’s Cheap Flights, for instance. They offer a free ticket when you sign up for their newsletter. And after that, instead of spamming you immediately, they send a thank you email and offer a free 30-page eBook full of advice and hacks for finding cheap flights. So, you get a free ticket and an added reward in the form of a free eBook. There is a reason why customers sign up for your newsletter. They are looking for value and it is your duty as a forward-thinking, customer-focused company to give them that value through your email marketing. When you see your email marketing campaign doing well, you might get tempted to go all out and share product information, offers, services and more. While the intent behind that is great, the actual practice of it is not. The aim is to keep the content of your email brief and to the point. There is a difference between sending value and sending tons of value. Nobody wants to read your long email and hunt for the said value. It should be offered to the customer upfront and in a straightforward manner. This takes us back to laying the foundation right. Before you start sending out emails, it is essential that you research and analyze your target audience. Segmentation implies dividing your customers into certain categories on the basis of their shared traits. Micro-segmentation is an inner circle of segmentation. It involves breaking down the segments into smaller, more specific segments. For example, a broad segment would be 25-year-old working males living in the USA. A micro-segment would be 25-year-old working males living in California and working in marketing. You can make this micro-segment better with 25-year-old working males, living in Sacramento, working in marketing and like to buy cakes online during weekdays. The more precise the information, the better your messaging and targeting and ROI. Design a layout that is easy on the eyes and use colors and fonts that entice the reader to read. For example, if you have a button that you want your users to click then texture it in a way that makes it stands out. Your newsletter should not be too plain, nor should it have lots of elements. Striking the perfect balance between the two is a challenge. However, if you can accomplish that, the results are very very rewarding. It is also important to make sure that your email design is mobile friendly. Most people consume emails on smartphones and tablets, so it makes sense to keep the paragraphs short and ensure images can be constrained to fit a host of screen sizes. A major issue that most marketers face is of the newsletter going to the receiver’s social, promotions or spam folders instead of their regular inbox. This is a problem that the recipient needs to solve, but you can guide them on how to do it. When your customers sign up for your newsletter, ask them to add your email to their contacts. In your first email, mention the steps on how they can move your newsletter from the promotions/social tab to the regular tab. 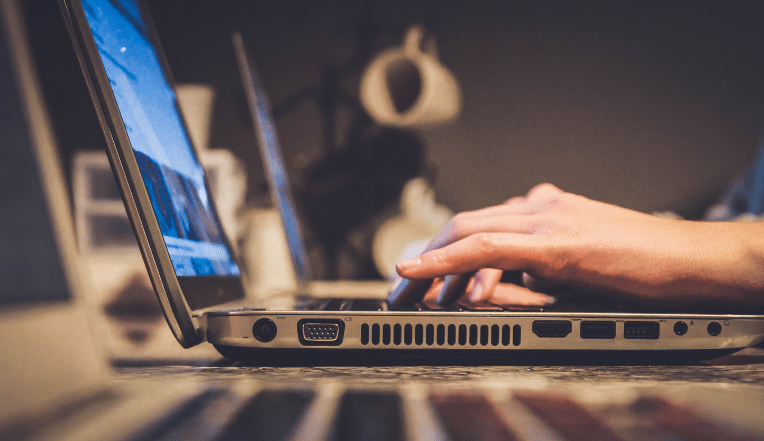 If you implement these five simple strategies, you will be well on your way to crafting some strong emails that will give you an increase in responses and lead generation. So, next time you send an email, make sure you run a quick check on the above mention tips and think about it as a part of a larger conversation you’re having with your consumer. Starting a tech business? Build your website on .tech!